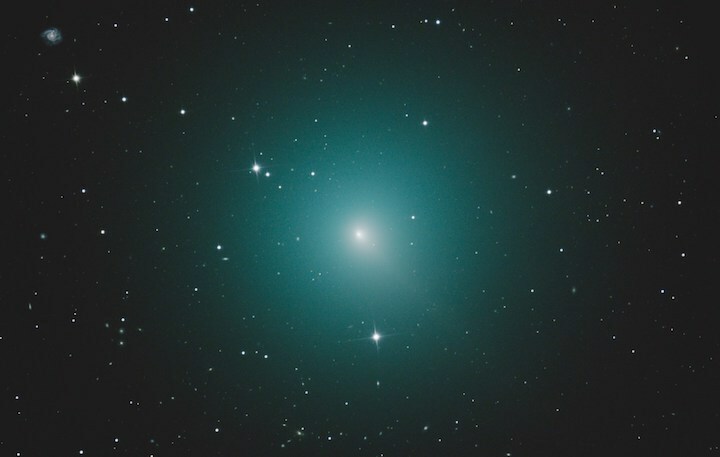 Raumfahrt+Astronomie-Blog von CENAP - Blog: Astronomie - Brightest comet of 2018 to pass the closest to Earth in December The comet 46P/Wirtanen was one of three comets discovered by Carl Wirtanen in 1948 at the Lick Observatory in California. At its closest point to the Earth, the comet will be at 30 times the distance the Earth is from the moon — around 7.2 million miles away — and should be observable with the naked eye from a location with little light pollution. The comet will be passing in the Southern sky, near the constellation Orion, according to CBC. Although it may be seen with the naked eye, the best ways to get a glimpse of this comet will be with binoculars or a telescope. On Dec. 12, 46P will pass the closest in its orbit to the sun, and it will be at its closest to Earth at 8:06 a.m. ET on Dec. 16, according to Space.com.